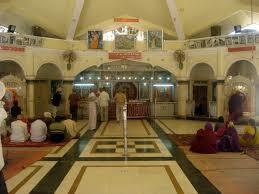 Shri Bala Hanuman temple of Jamnagar is very famous dedicated to the Lord Hanuman in India. On the southeast corner of the lake is the Bala Hanuman temple, famous for its continuous chanting of the “Sri Ram, Jai Ram, Jai Jai Ram” since August 1st, 1964, for which it is even listed in the Guinness Book of World Records. Jamnagar contains several ancient temples such as Sidhnath Mahadev temple and marble Jain temples. You can visit the temple to be witness to their prolonged act of religious devotion and even join in if you wish to contribute to the effort, especially at night, during the more difficult sessions. Narara Marine National Park is around 55 km away. It can be reached by road to do the 'coral walk' as the tide ebbs. Best time to visit is between December to March. Dwarkadhish temple is about 143 km from the temple. The Lakhota Lake is visited by various species of birds, particularly during the period of migration, making the overall atmosphere more special. Lakhota Fort and Museum are located on an island inside the lake and can be reached through two pathways that connect them with the bank. One can enhance the fun by indulging in boating inside the lake.